Just over a month after 58 people were killed at a Las Vegas country music festival, a lone gunman opened fire on the First Baptist Church in Sutherland Springs, Texas during a Sunday morning worship service. Using a Ruger assault-style rife, the 26 year old gunman killed 26 people during the attack, with the youngest victim being a one year old infant. Though there is no motive for the attack at this moment, it was released that the gunman, a former Air Force member, had been court-martialed and sentenced to one year in military prison for domestic violence related charges against his child and spouse. For many people, a church is somewhere that provides a sense of safety and the Sutherland Springs church massacre has reinforced that no place is immune to a violent situation. With that being said, it’s important that businesses and individuals alike are well versed on how to handle situations that might turn violent. Create a Crisis Team: Emergencies strike with little to no warning. In order to ensure that your business is truly prepared in the event of an attack, you need to create a crisis team with clearly defined roles. Crisis teams prevent un-necessary confusion and help to reduce stress during an incident. When each person within the crisis team is aware of what their job is during an emergency, people are able to work together better rather than wasting time trying to figure out who should do what. Training: For places like churches, you might not think that you need to train employees and members on how to handle emergency situations, since time together is so limited. 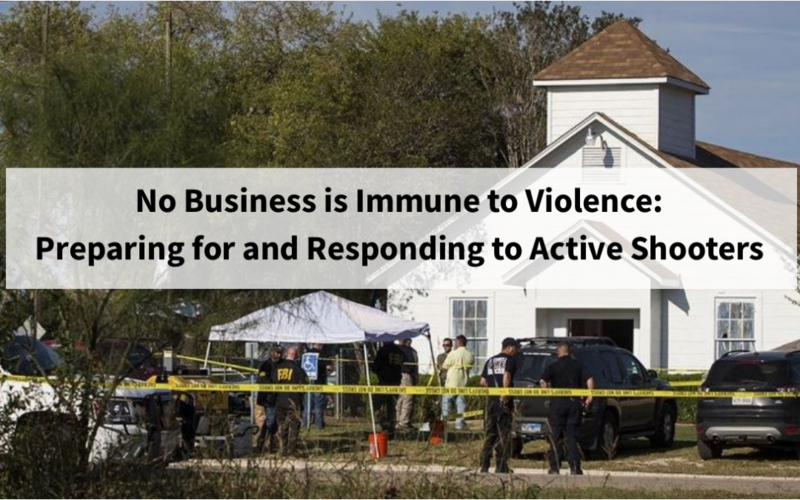 However, if we have learned anything from Sunday’s church massacre, it’s that no business is immune to violence. Preparis offers interactive, online-based training to help ensure that everyone at your business has the knowledge of what to do during an emergency. Emergency Notification: Having an emergency notification system that allows you to rapidly alert employees, tenants, students, faculty or members is one of the best ways to make sure that your business is prepared for an emergency situation. If an emergency arises in one area of the building, you will be able to quickly send out a notification outlining what has happened and give instructions on how to proceed. To learn about the emergency notification and incident management system offered by Preparis, click here. Preparis is dedicated to assisting businesses across the globe, ensuring they are prepared for and able to respond to any type of incident, whether it be a power outage or a mass shooting. Preparis is able to provide assistance with creating plans like Emergency Action Plans (EAPs) and Business Continuity Plans (BCPs), as well as providing award-winning technology, such as emergency notification and incident management. Additionally, Preparis offers expert content and resources, such as tabletop exercises and training. To learn more about the ways that Preparis can help you protect your business, click here. To register for Preparis’ webinar ”The Truth about Active Attackers & Dealing with Them in the Workplace,” click here. 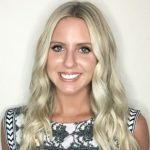 The webinar will take place on Tuesday, December 5th at 2 p.m. EST.